You'll explore and learn at USS Midway Museum and Spanish Village Art Center. 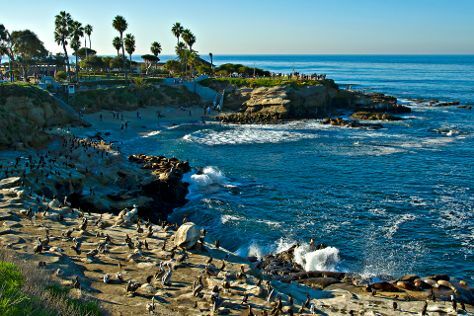 You'll enjoy a bit of beach vacationing at La Jolla Cove and Children's Pool. Pack the 14th (Sun) with family-friendly diversions at SeaWorld San Diego. There's still lots to do: meet the residents at San Diego Zoo, immerse yourself in nature at Torrey Pines State Natural Reserve, and examine the collection at Maritime Museum of San Diego. To find other places to visit, maps, reviews, and other tourist information, you can read our San Diego road trip planner. Vitoria, Brazil to San Diego is an approximately 25-hour flight. Traveling from Vitoria to San Diego, you'll gain 5 hours due to the time zone difference. Expect a daytime high around 29°C in July, and nighttime lows around 23°C. Wrap up your sightseeing on the 14th (Sun) early enough to travel to St. Helena. Do some cultural sightseeing at Anderson's Conn Valley Vineyards and Gracianna Winery. Head to Imagery Estate Winery & Art Gallery and Oxbow Public Marketfor some retail therapy. Change things up with these side-trips from St. Helena: Healdsburg (Jordan Vineyard & Winery & Stephen & Walker Winery). Dedicate the 16th (Tue) to wine at some of the top wineries in the area. It doesn't end there: do a tasting at B Cellars Vineyards and Winery. For where to stay, ratings, other places to visit, and other tourist information, use the St. Helena travel route builder site . Traveling by combination of flight and taxi from San Diego to St. Helena takes 4 hours. Alternatively, you can do a combination of flight, subway, and bus; or drive. When traveling from San Diego in July, plan for a bit warmer days in St. Helena, with highs around 34°C, while nights are slightly colder with lows around 13°C. Finish up your sightseeing early on the 17th (Wed) so you can go by car to San Francisco. Do your shopping at Union Square and City Lights Booksellers. 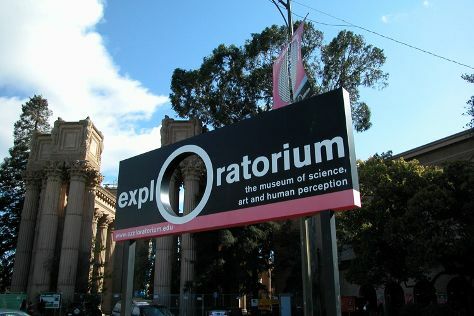 Kids will enjoy Exploratorium and California Academy of Sciences. There's much more to do: contemplate the long history of Alcatraz Island, take a tour of SS Jeremiah O'Brien, take in the views from Golden Gate Bridge, and buy something for everyone on your list at Ghirardelli Square. Getting from St. Helena to San Francisco by car takes about 1.5 hours. Other options: do a combination of bus and subway; or take a bus. Traveling from St. Helena in July, you will find days in San Francisco are a bit cooler (26°C), and nights are about the same (16°C). Finish your sightseeing early on the 22nd (Mon) to allow enough time to drive to Carmel. Carmel-by-the-Sea, often simply called Carmel, is a city in Monterey County, California, United States, founded in 1902 and incorporated on October 31, 1916. 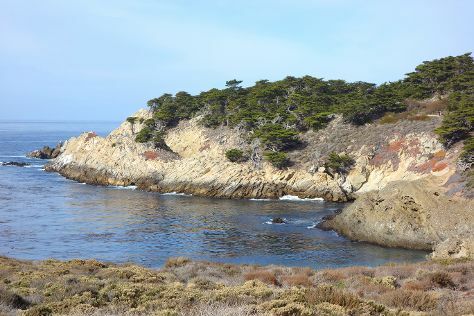 Start off your visit on the 23rd (Tue): stop by The Cheese Shop, immerse yourself in nature at Asilomar State Beach, and then immerse yourself in nature at Point Lobos. On the 24th (Wed), you'll have a packed day of sightseeing: view the masterpieces at Carmel Art Association, make a trip to Pacific Grove Oceanview Boulevard, and then tee off at Pebble Beach Golf Links. For reviews, more things to do, maps, and other tourist information, read our Carmel driving holiday planner . Traveling by car from San Francisco to Carmel takes 2.5 hours. Alternatively, you can do a combination of flight and bus; or take a bus. In July, daytime highs in Carmel are 24°C, while nighttime lows are 15°C. Finish up your sightseeing early on the 24th (Wed) so you can go by car to Yosemite National Park. Head to Ansel Adams Gallery and Yosemite Museum Galleryfor plenty of shopping. 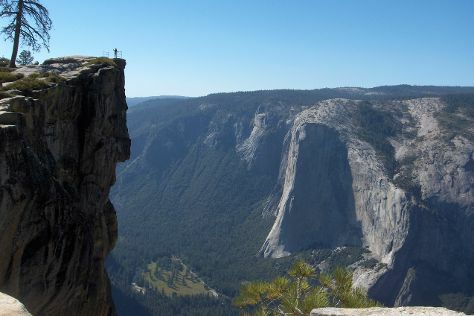 Get outdoors at Taft Point and Mariposa Grove of Giant Sequoias. There's much more to do: trek along Tuolumne Meadows, take in the dramatic scenery at Vernal Fall, take your sightseeing to a higher altitude at Cathedral Beach Picnic Area, and stroll through Yosemite Valley Biking. To see photos, where to stay, maps, and tourist information, read our Yosemite National Park trip planner . Traveling by car from Carmel to Yosemite National Park takes 5 hours. Alternatively, you can do a combination of bus, flight, and car; or do a combination of bus, shuttle, flight, and car. Traveling from Carmel in July, you will find days in Yosemite National Park are a bit warmer (33°C), and nights are little chillier (9°C). Wrap up your sightseeing on the 29th (Mon) early enough to travel to Los Angeles. Appreciate the collections at The Getty Center and Natural History Museum of Los Angeles County. Your cultural itinerary includes sights like Griffith Observatory and Santa Monica Pier. 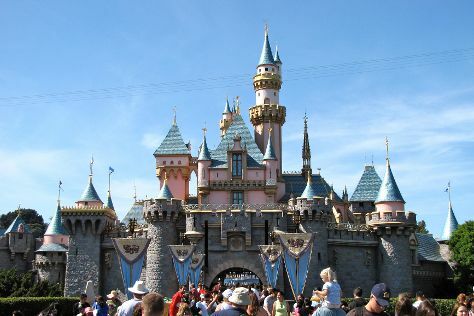 Get out of town with these interesting Los Angeles side-trips: Anaheim (Disneyland Park & Disney California Adventure Park) and Montana Avenue (in Santa Monica). Pack the 2nd (Fri) with family-friendly diversions at Universal Studios Hollywood. And it doesn't end there: kick back and relax at Venice Beach and Boardwalk, see the interesting displays at Petersen Automotive Museum, stroll through Will Rogers State Beach, and buy something for everyone on your list at The Grove. For more things to do, ratings, other places to visit, and tourist information, read our Los Angeles online itinerary planner . You can do a combination of car and flight from Yosemite National Park to Los Angeles in 4.5 hours. Alternatively, you can drive; or do a combination of taxi, bus, and flight. Traveling from Yosemite National Park in July, expect somewhat warmer with lows of 22°C in Los Angeles. Finish your sightseeing early on the 5th (Mon) so you can travel back home.